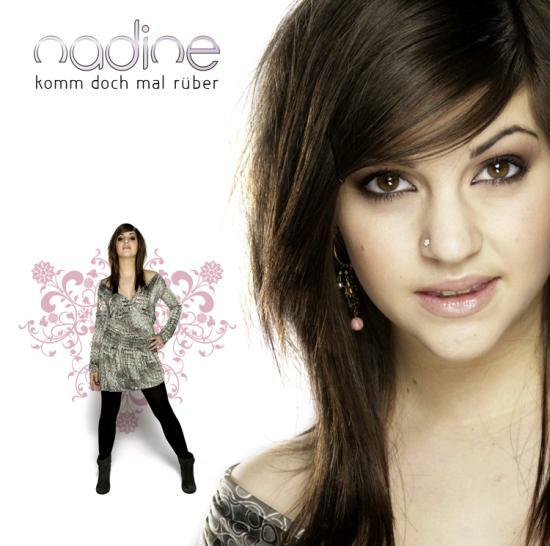 Nadine Beiler's KOMM DOCH MAL RÜBER ("Come over Here") is exactly what you would expect from the debut album of a 16-year-old schoolgirl who won the third season of STARMANIA, the Austrian version of AMERICAN IDOL: to nobody's surprise, it's teen-oriented pop music, encompassing several sounds that are currently popular with the target group. There are R&B dance numbers ("Ich will dich" -- "I want you"), epic ballads ("Was wir sind" -- "What We Are"), funky pop songs ("Zählt nicht" -- "Doesn't Count"), Shakira-inspired dancefloor tracks ("Um die Welt" -- "Around the World"), and everything in between. What is surprising is that the album isn't half bad: the production is entirely professional, as expected, and the songs are catchy. While they revolve around teen pop's typical issues -- heartbreak, first love, friendship -- most possess an innocent charm that counters the entirely calculated craftsmanship. Beiler's voice is really distinctive and belies her age: she sounds like a singer in her twenties, and while she tends to put a lot of emotion even into lyrics that don't warrant them (as in the "let's party" lyrics on "Um die Welt"), she sounds comfortable and inspired. The ballads work less well than the uptempo dance numbers: "Was wir Sind" is a by-the-numbers ballad with an overwrought arrangement, while the Latin-flavored "Meer sehen" ("See the Sea") has a light, easy flow. Nothing on KOMM DOCH MAL RÜBER is essential, but most of it is pleasant and better than it could have been. This review was written for the All-Music Guide on November 22, 2007.